Apologies for the lack of new posts on here, I’ve been a little busy lately with various things. This will most likely be a quick update as to what I’ve been doing and playing in that time, but mainly I’ll be showing off some screenshots I took in Destiny a day or so ago. Anyways, most of what I’ve been playing has been Destiny since the Rise of Iron expansion came out a couple weeks ago. This is by far my favorite expansion for the game right now. I was always a little curious about who the Iron Lords were and what the importance of the Iron Banner was, and this expansion dives into that. Without spoiling anything, it offers a short but epic story to go with. I think it’s around five missions for the new story, but by the end it feels like you are an Iron Lord. In the near future I will see if I can write up some more in-depth thoughts (while remaining spoiler free) about what I think of it. In the meantime, head on over to Frantic Talks and check out the latest episode of the podcast for my thoughts on it. Also, check out the Magic section of the site…which brings me to my next brief paragraph. I have recently started to learn how to play Magic: The Gathering. It’s a trading card game that has been around for…literally as long as I’ve been alive. I had already known about it because Frantic plays it and has talked to me a little about things related to it as well. Not too long ago I downloaded Magic Duels on the Xbox One to play it with another friend and this is where I get really interested in it. It’s not overly difficult to learn as a beginner but there is also a lot of really in-depth aspects of the game (especially with some of the cards in a few sets) that can be overwhelming. Anyways, I bought my first deck of cards (via a Battle for Zendikar Intro Deck and a couple of Eldritch Moon booster packs) a few weeks ago and have added to my collection of cards since then. Last weekend I just finished building my own 60-card deck from that collection, I have no idea how well it will work…if at all but I don’t care. Building the decks is what I thought I would enjoy the most from getting interested in it, and I really enjoyed putting this deck together. So much so that I already want to start putting together a second deck but I have no idea what I want to put in it. As with I mentioned earlier with Rise of Iron, I will try to get a post up at some point focused around my current experiences with this and maybe throw in some D&D stuff too. Old fashioned, tabletop gaming is rather fun. 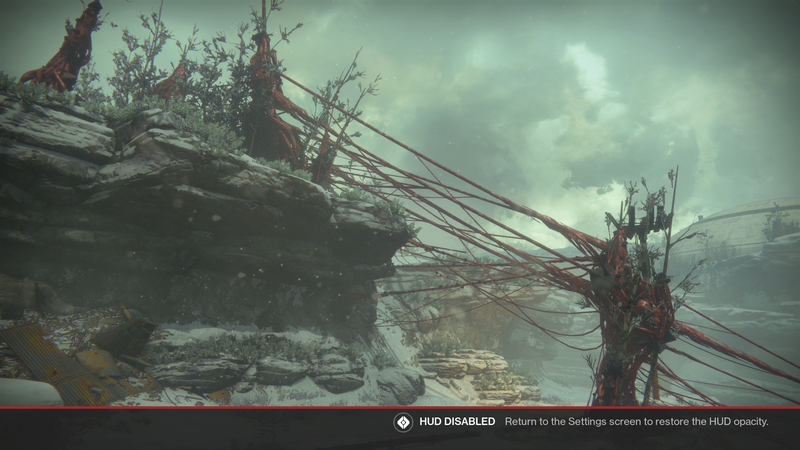 Alright, now for the screenshots I mentioned that I took from Destiny. 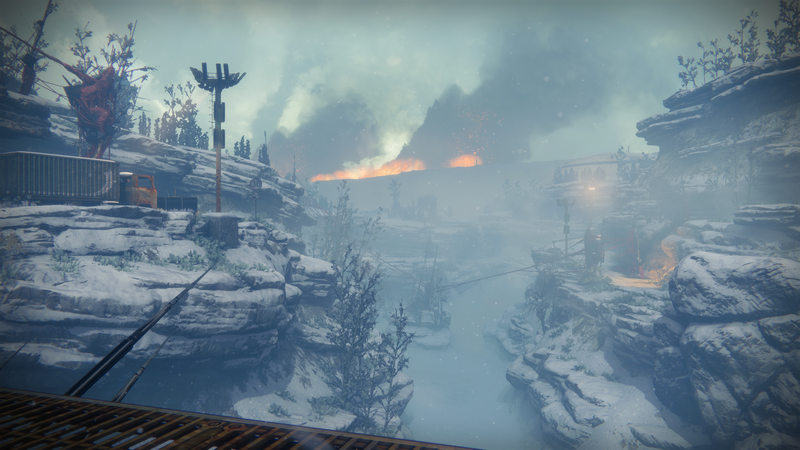 All of these are from the new patrol area from Rise of Iron, the Plaguelands. This place is going to be amazing for some scenery shots I can tell. Also, a quick recommendation of someone else to check out for some sweet screenshots I’d suggest someone I know on Twitter. Relyks has been posting a few images from the daily story mission when they run through it. I admit, this is what got me to wanting to take some screenshots again. 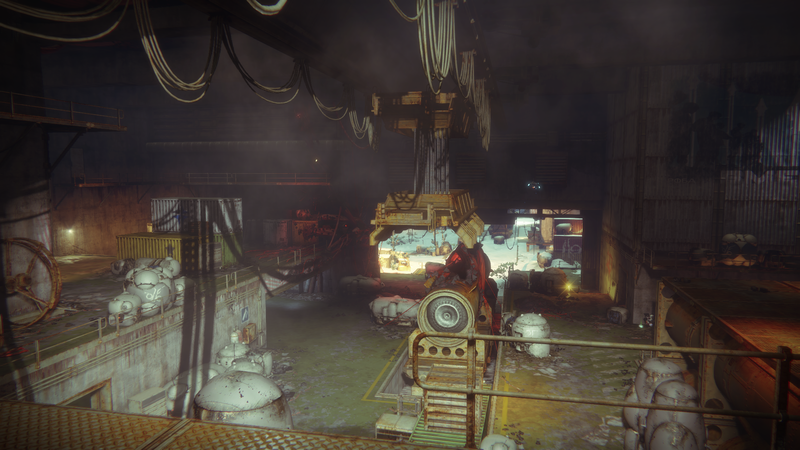 This shot was taken in a building in one of the areas in the Plaguelands. Nothing too fancy about it, but some times I like to show off the interior of structures. The lighting for these areas can provide some creepy looking places, or even some downright beautiful places to be in. I can’t remember exactly where I took this one, but I do remember a bridge. So there’s that. This image…I was really, really happy with it when I was making sure I got a good angle. Then I went and looked at the shot on my capture feed on my Xbox…and noticed the, well uh, notice at the bottom informing me my HUD was disabled. I cried a little when I saw that. Ok, maybe not but I was a little disappointed that the Xbox decided to capture that even though it was like 30 seconds after that message disappeared. Ah well, guess I just have to retake it at some point again. The Archon’s Keep. I see so many opportunities for shots if I can get the right angle for them in this area. This is probably my favorite out of the group I took. 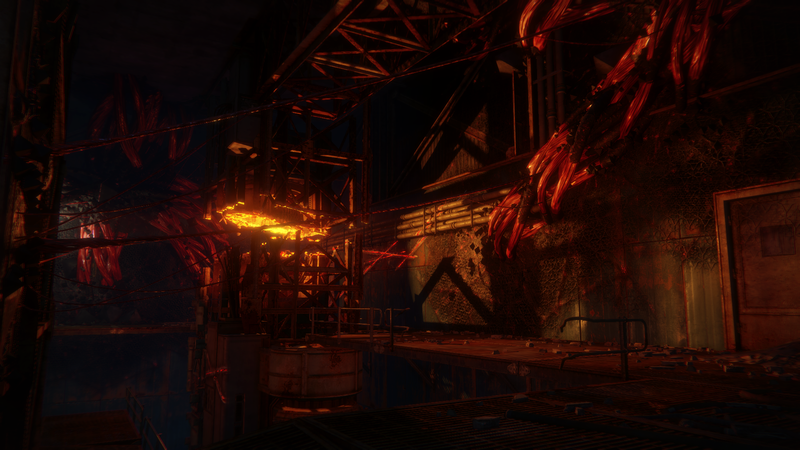 This is in an area between the Plaguelands and the old section of the Cosmodrome. 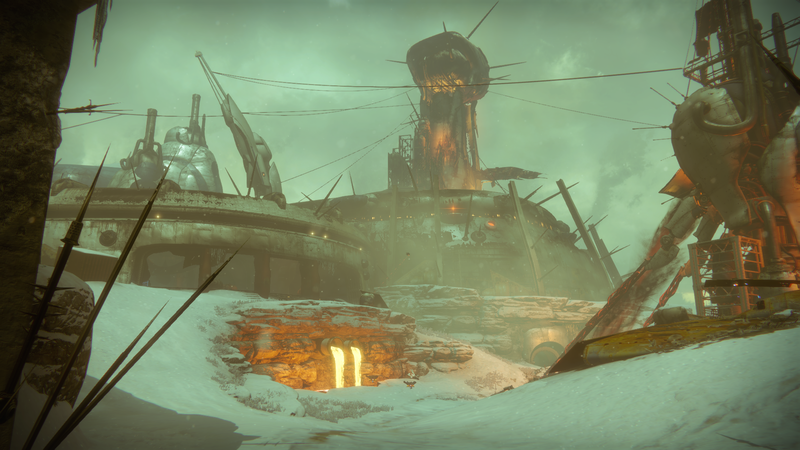 The Fallen have been busy at destroying parts of the Cosmodrome, meanwhile the SIVA is still spreading throughout the area. There you have it. Some screenshots to look at, and a quick update for what I’ve been doing lately. I want to divulge in more detail about the stuff I mentioned at the start of this post at a soon but later point. Will I actually do it? That remains the question. This entry was posted in Destiny, Screenshots. Bookmark the permalink.